List of ebooks available: See all books listed in the eBook category on our site. Instant download at checkout or from your confirmation email. Print the whole book, or just the pages that you need. Save money - our eBooks are 25% cheaper, and no shipping fees are charged! Linked table of contents - click on the topic you want and go directly to that chapter. Searchable - most eBook readers allow you to search for specific words or topics within the book. Linked Bible verses - Bible references may be clicked to open up the fully quoted verse at BibleGateway.com (internet connection is required). Direct Web Links help you find all recommended resources and reference materials. Save space and take books anywhere with your computer or mobile device. Once you download an eBook, you are responsible to keep a backup copy of your eBook file. We cannot replace lost files. Unlike print books, eBook files are non-transferable. eBook purchases may only be used by the original purchaser, and members of the original purchaser's immediate family in the purchaser's household. They may not be shared or sold as "used books." Read the full terms and conditions here. PDF eBooks require Adobe Reader, a free program, to open and view them on your computer. PDF files are easy to print, and most tablets will also read PDF files. EPUB eBooks work best with iBooks (on any Apple device) and most eBook readers. This format is intended for mobile devices and works well on smaller screens, but it is not optimized for printing or reading on a computer. Downloading your purchased eBook file - Immediately after submitting your order, you'll see a "Download Now" link on the confirmation page. You may download the file from this link, or from a similar link in the email confirmation you receive. (Note: the download link will expire after 180 days.) The next window should allow you to save the file to your computer, or to view the file immediately. Reading on PC or Mac - The file should open up in Adobe Reader. Use the table of contents in the book, the scroll bars, or the "bookmarks" section of Adobe Reader to navigate to the page you want. Loading on to iPad - Sync method: In iTunes, go to FILE, select "ADD FILE TO LIBRARY," and browse to find your downloaded file. Make sure iTunes is set to sync books. Connect your iPad to the computer and sync your files. 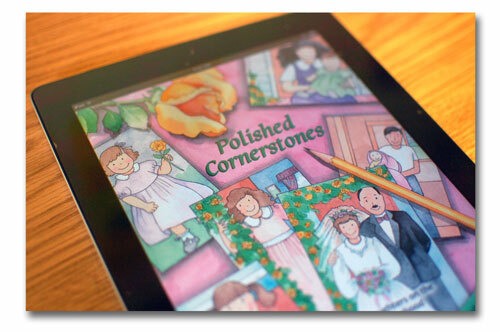 Your book should appear in the "PDFs" collection of your iBooks library. Email method: Send your order confirmation email to your iPad, and in the mail program, touch the "Download Now" link. The file will download, and allow you to open it in iBooks or another app according to your preference. Loading on an Android tablet - Get the Adobe Reader app for Android, then email the file to your tablet or add the file via USB connection. Loading on a Kindle - EPUB files can be added to a Kindle using a free converter and these instructions. PDF files can also be added to your Kindle by following these instructions, but functionality is liminted. Using on smartphones - EPUB books work well with Apple's iBooks app on the iPhone or iPod Touch. 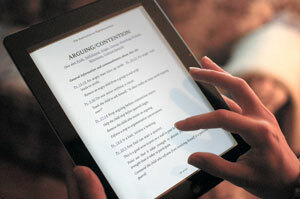 PDF books may be loaded onto smartphones, but they are not optimized for use with small screens.